Hello i am a fan of "The Forest" I am a game that I want to translate language but I can not find the language files of the game do you help? Post subject: Re: The Forest Where is the language file? for %%a in (*. *) do UnityEX.exe export "%%a"
for %%a in (level*;mainData;*.assets) do UnityEX.exe import "%%a"
.ttf edit FontLab Studio etc. Last edited by makc_ar on Sat Jan 20, 2018 8:31 pm, edited 13 times in total. Will I create an empty rich text document and write it into code and save it as .bat? 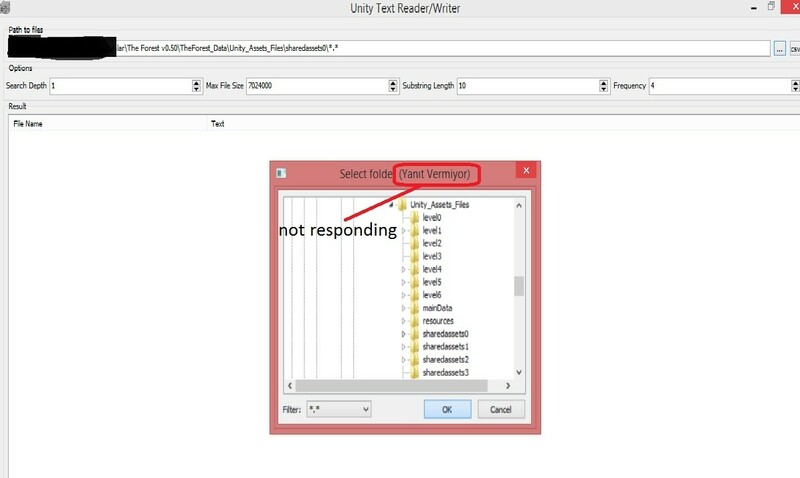 Use UnityText.exe. 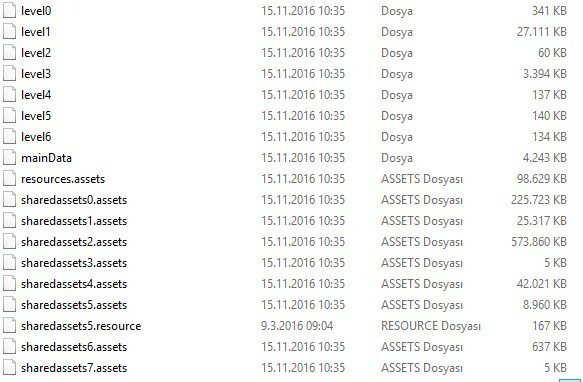 Target Unity_Assets_Files folder. Last edited by makc_ar on Thu Nov 24, 2016 1:17 pm, edited 1 time in total. Which one do I take with "UnityEx"? I got all the files now what do I do? Added the [Unity] tag in the title because I think this topic is gold for many people who wants to work on other games using the same engine. 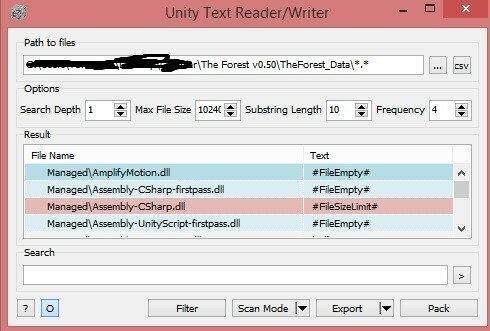 I get the error that the files I export are not responding when run with "UnityText".